This is an exclusive limited edition commemorative cover produced by the Israel Stamp Collectors Society and the International Stamp Coin Collectors Society commemorating The 1932 PACKARD. Renowned for smoothness, it became a favorite with custom coachbuilders and in its time, "as a sign of life's best riches and social rewards." 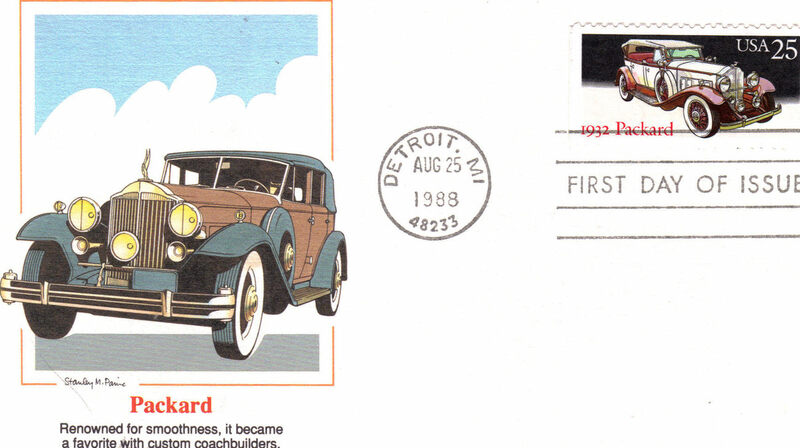 Back cover has short interesting history for The Packard Stamped Detroit, MI August 25th 1988. Measures 6-1/2" L x 3-5/8" H Mint condition Send email if you need additional details. Buyer is responsible for 1.95 shipping to anywhere in the USA Canada. Send email for international rates. Do check the store for many more Las Vegas Collectibles daily. Thanks for stopping by!